Ameritex Houston Movers are big believers of giving back. In addition to providing our customers with a Stress-Free Move, Ameritex Movers is also proud to be an active participant in the Houston community. We love our city, and one of our main goals is to support charity and education wherever possible! Here’s a glimpse at our latest community projects. See our latest press releases. 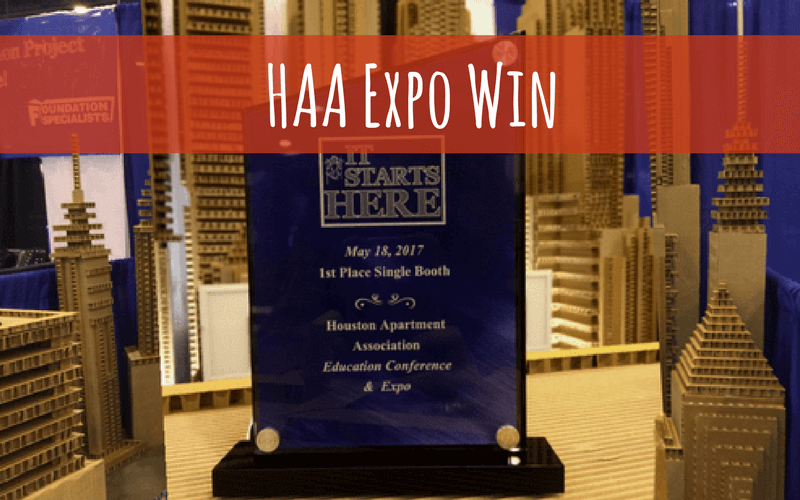 As a member of the Houston Apartment Association, Ameritex takes part in the HAA’s annual Education Conference and Expo — the largest local apartment association expo in the country. This year in May, our team took home first place in the single booth display contest. 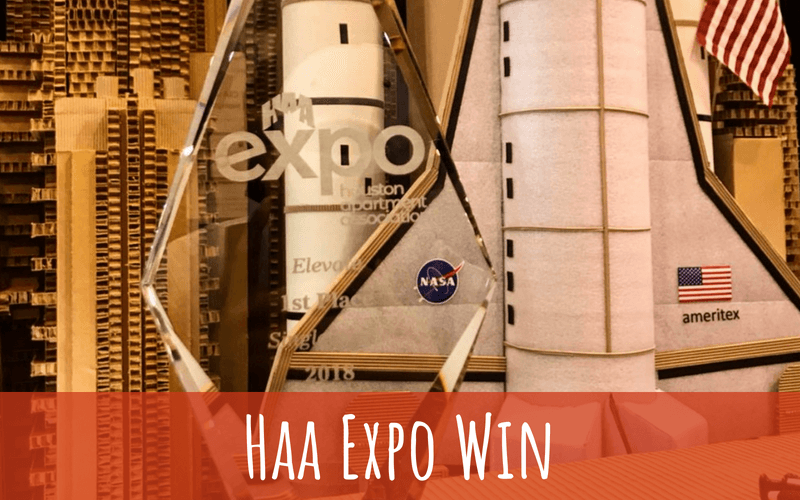 Our award-winning entry was a cardboard replica of Downtown Houston. The cardboard cityscape stands at 8 feet tall and 10 feet wide and is made entirely of cardboard and packing supplies. We think our cityscape is a testament to the patience we employ every day as Houston’s premier local moving company. The project took over 125 hours and required 75 hot glue sticks. Team leader and Ameritex owner Beth Rohani remembers the challenge as an immensely fun, yet massive undertaking that was a great team-building experience. Ameritex also desired to share our creation with the Houston community. Coming straight off our win back in May, we now have the honor of collaborating with the Children’s Museum of Houston in a display featuring our cardboard city. “The Children’s Museum of Houston is a place where the best ideas come together—practically speaking, A Playground for Your Mind™,” said public relations and promotions director Henry Yau. The cardboard city display is a part of the Invention Convention Gallery, which educates museum visitors on maker and engineering concepts. Don’t wait too long to bring your family — the city is on display only through Sept. 4, 2017. 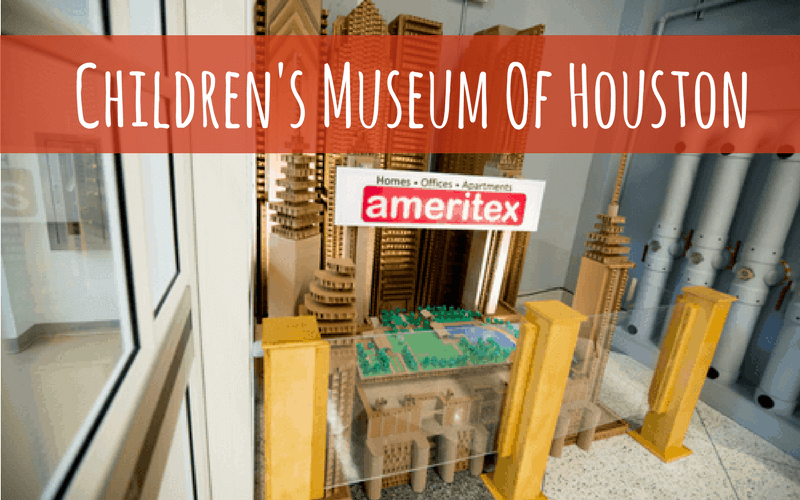 “Having our Cardboard City displayed at the Children’s Museum of Houston just proves that if you put your mind to something and do it out of love, passion, commitment and a little determination, it will lead you to where you least expect it,” said Ameritex owner Beth Rohani. If you’re new to Houston — or if you’ve never visited The Children’s Museum — you’re in for a treat. Located Downtown in the Museum District, the museum is a massive educational playland that focuses on providing Houston families with innovative learning. With an audience of over 1 million local children and families, it does not disappoint. On Sept. 24, 2017, we participated in the Trolls on a Roll event at the Children’s Museum of Houston. We donated moving and packing supplies for local kiddos’ creative minds to transform into Troll-themed costumes. The day was an absolute blast, and we were so impressed by the results. The children worked hard using supplies like bubble wrap, shrink wrap, and cardboard to create beautiful and unique costume designs. They truly thought outside the box! After the fashion workshop, they got to model their designs down the runway and hang out with two Trolls characters. “Being a postive influence in the community means you have to lead by example. 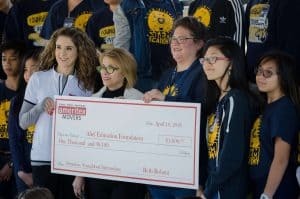 Being connected with the Children’s Museum and hosting events like this is a wonderful tool to be able to make connections with kids and to inspire kids to think outside the box,” said Ameritex Movers Beth Rohani. In case you haven’t noticed, we at Ameritex are all about having fun and getting crafty. We also have a passion for finding creative ways to upcycle our packing supplies. So it’s no big surprise that we happen to love recyclable costume design. On the heels of our Trolls On a Roll collaboration with the Children’s Museum of Houston, Ameritex was thrilled to partner with them again last weekend. 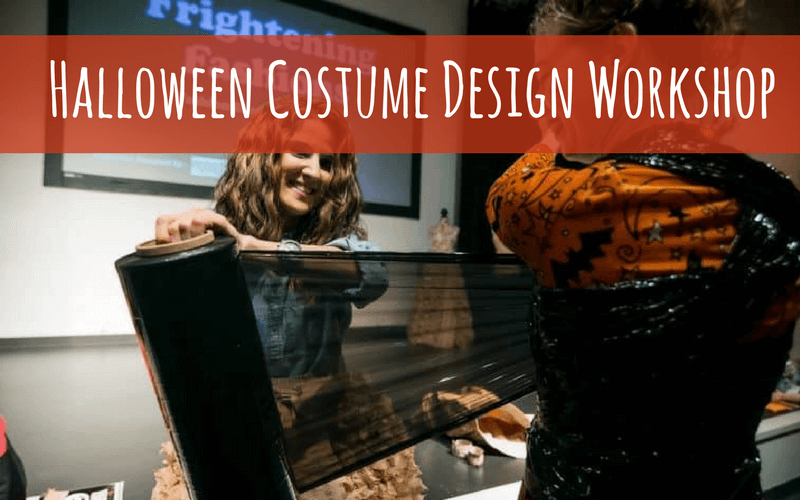 On October 21, Ameritex and the Children’s Museum came together once more, this time for a Halloween costume design workshop. Children from around the community participated in 20-minute workshops that included spooky DIY costume design and a fashion show. To top it all off, owner Beth Rohani got a chance to chat with KHOU and Fox 26 Houston about the event as well as her fun cardboard fashion, which she wore to the interview! Check it out here. Another new partnership for Ameritex Movers is with Alief ISD. We care deeply about hands-on learning and inspiring creativity, so in summer 2017, we launched a BoxBot contest. 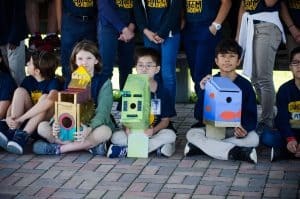 The contest was inspired by our Box City, and we encouraged Alief district middle schoolers to “Think Outside the Box” and create robots out of moving boxes. We provided two boxes for each student, and they were free to use other materials to make their robots stand out. The designs are being judged by local leaders in the Alief community, and the winning robot will receive a new iPad. Stay tuned for updates on the winners! In addition to hosting the BoxBot contest, we also donated Children’s Museum tickets for Alief district students to enjoy. For the second year in a row, the Houston Business Journal placed Ameritex Movers on its Fast 100 list. This coveted list recognizes the fastest-growing companies in our area. We are so proud to make the Fast 100 list twice in a row. Our unprecedented attention to customer service has paid off — we have a repeat customer and referral rate of 95%. In addition, our damage claim ratio is less than 1%. We at Ameritex believe none of this is possible without the support of our wonderful community. We’re thrilled to represent both our city and our industry as we grow even more in the next year. On October 3, 2017, Ameritex hosted our neighborhood’s National Night Out at our Houston headquarters. NNO began in 1984 as a way for neighbors to support local law enforcement and the safety of their community. Each year, the nationwide event draws millions of people across the country. It is an opportunity to meet neighbors, learn about proper safety measures, and take a stand against local crime. Friends, families, and neighbors came together to participate in anti-crime efforts, and to show their support for first responders who protect and serve. Although the event is over until next year, you can still make a difference in your community. Check out the Crime Stoppers website for tips on how to keep your home and your neighborhood safe. At Ameritex, we have a special place in our hearts for the Houston Food Bank. That’s why we’re thrilled to partner with them for the Humans Helping Humans food drive, directly benefiting families devastated by Hurricane Harvey. You can help by donating your nonperishable food items now through Oct. 15, 2017. In fact, you don’t even have to leave your house — our professional movers will collect items in large boxes, with a grand prize going to the mover who turns in the most donations at the end of the period. Remember that every little bit helps. If you are unable to purchase items for donation, you can simply take this opportunity to go through your pantry. Together we can feed our Houston neighbors and help turn things around for those in need. Read below for more on our partnership with the Houston Food Bank. We love our community and our partnership with the Houston Food Bank. We try to involve ourselves in philanthropic activities as much as possible. It is not only a privilege to be able to provide assistance and help but also a human duty to utilize our resources for good causes. One of our charitable partnerships is our relationship with Houston Food Bank, one of the certified members of Feeding America. It is the largest food bank in Feeding America and runs many charitable food programs. It has set up a full network of about 600 hunger relief charities and delivers approximately 59 million meals to various soup kitchens, food pantries, and similar centers. Ameritex Movers invest their energy, volunteering hours, members, equipment, and food to Houston Food Bank, playing as big a part as we can possibly manage. We volunteer our time and energy, and our teams actively provide helping hands to the organization. We deliver more than 10,000 Back Pack meals per week for school-aged children in Houston and surrounding cities of Houston during the school year. We also volunteer and help out with local food drives. One of the recent food drives we helped was M.D. Anderson food drive where we collected and deliver more than 25,000 lbs of non-perishable foods to the Houston Food Bank, the Houston Food Bank’s annual “Canstruction” event and the food drives held at the Houston Dynamo games. 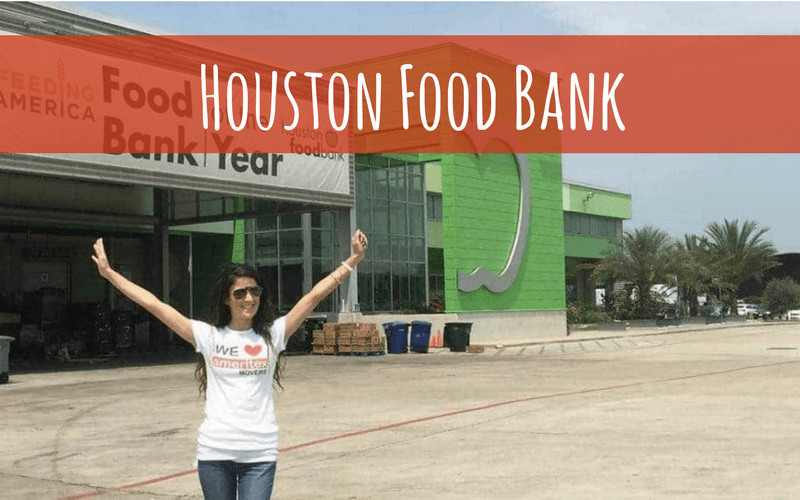 Ameritex Movers enjoy helping out with Houston Food Bank, as it is the biggest food bank in Feeding America and stems right from the city we so love! We encourage others to help out at Houston Food Bank as well, their full details and information can be found at www.houstonfoodbank.org. Our award-winning cardboard cityscape of Houston, aka Box City, is making the rounds! Originally designed as an entry in the Houston Apartment Association’s annual Education Conference and Expo, Box City first made its home at the Children’s Museum of Houston. Now, you can look for it through the week of Thanksgiving at the University of Houston’s C.T. Bauer College of Business. In addition to the Houston skyline, we’ve made a fun addition to commemorate the Houston Astros’ World Series win. Box City now features the famous Astros logo in beautiful color. Constructing the logo required a day’s work, cardboard, blue bubble wrap, and packing foam. We think it’s the perfect finishing touch to celebrate our city’s strength and resilience. 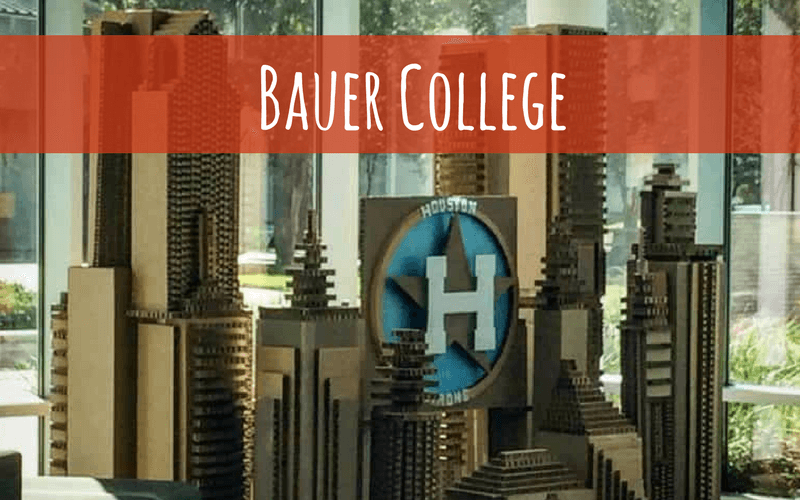 Make sure to get out to Bauer College before Thanksgiving to see Box City in person! Ameritex is passionate about serving the local community, and the holiday season is no exception. This year, Ameritex decided to forgo a traditional company-wide Christmas gift exchange and host the Box of Love Toy Drive instead. This drive benefitted the students of Mahanay Elementary School in Alief ISD. Ameritex team members donated unwrapped toys and gifts to the students in lieu of purchasing presents for their co-workers. To get into the holiday spirit, staff members constructed a 12-foot-tall Christmas tree out of packing materials at the Ameritex office in Southwest Houston. Over 100 toys piled up under the tree, and the Ameritex team delivered them to Mahanay Elementary to surprise the students. 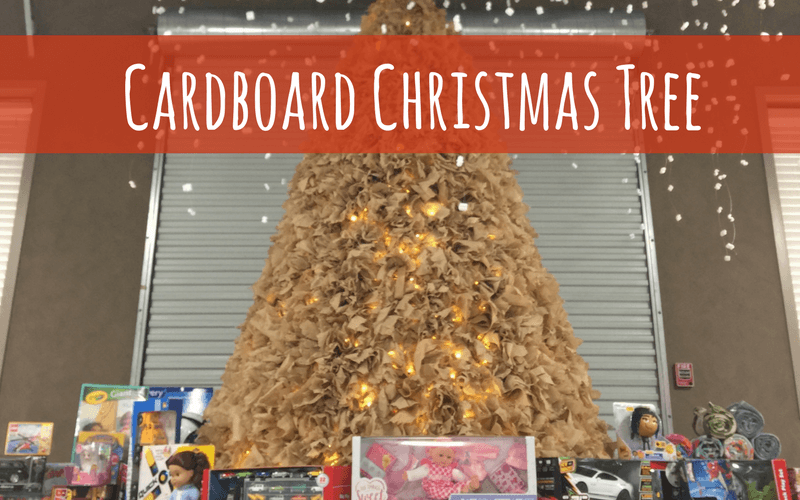 Ameritex wanted to “Think Outside the Box” and make this Christmas meaningful for our community. We were excited to present a check to Youngblood Intermediate School on April 10, 2018, to support their mission to build birdhouses for the Alief Community Garden. This donation was part of our ongoing support of Alief ISD and the Environmental Urban Design Committee of the International Management District (IMD). We’re honored to be able to help make the project a reality. The vision for this project began with Youngblood teacher Erin Gilbert and her 6th grade students in the wake of Hurricane Harvey. They knew that mosquitos thrive in flood-prone areas. Gilbert’s class learned that developing habitats favorable to purple martins would help to minimize the presence of mosquitos and slow the spread of mosquito-borne diseases. 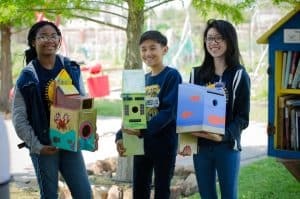 From there, they set a goal for the students to work together to assemble the birdhouses for their campus and the nearby Alief Spark Park and Nature Center. 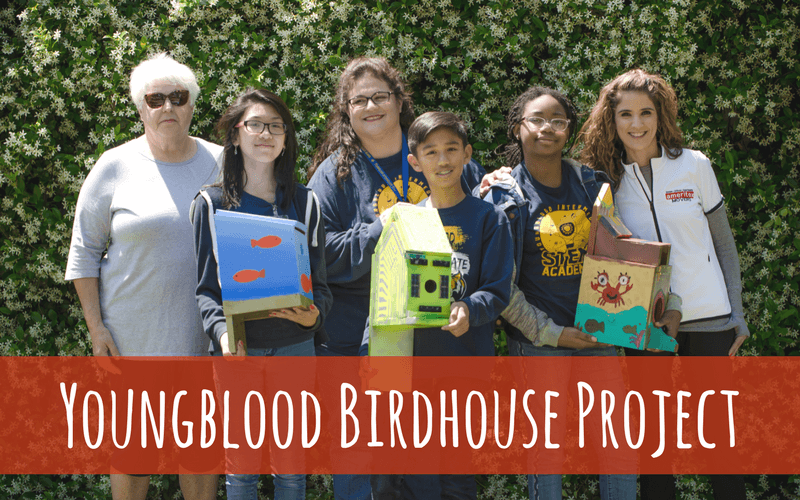 The birdhouse project provided the students with the opportunity to learn about symbiotic and beneficial relationships in the environment, including human-environmental interaction. In addition to the birdhouses, Youngblood students cultivated the garden to include 50 beds, a pollinator garden, and a tree farm, among other outdoor learning features. The Ameritex team is passionate about community involvement and was thrilled see the students get creative and Think Outside the Box. “You can look at a local business like a neighbor. Being a good neighbor is important to us, and supporting your community goes hand in hand with that,” said Ameritex owner Beth Rohani. Check out some of the students’ impressive birdhouse designs below! It’s summertime, and you know what that means — Ameritex had yet another opportunity to represent our industry in the annual Houston Apartment Association expo! We are thrilled to announce that we took home first place in the single booth display contest for the second year in a row. This time, our winning entry was a space shuttle hand crafted from moving and packing supplies. Once a year, the HAA holds a citywide educational conference and expo. Members hail from all over the Greater Houston Area and beyond — over 50 cities from Alvin to Willis, and everywhere in between. The event features award-winning speakers from the rental industry, break-out sessions to explore relevant business topics, and fun contests showcasing participants’ innovation. Ameritex swept this year’s contest with our nod to Houston’s space industry giant, NASA. The giant replica depicts a lifelike space shuttle in homage to Houston’s history in the space race. And here’s the kicker — our team constructed it entirely from moving and packing supplies! The Ameritex team spent hours upon hours putting together our space shuttle. Next to our community and our customers, our biggest passion is creativity and innovation, particularly where moving is concerned. In fact, Think Outside the Box is our motto. We love bringing our passion for moving to the community in fun, unexpected ways. And we savor each opportunity to work together as a team to create something meaningful — especially when it represents our great city. 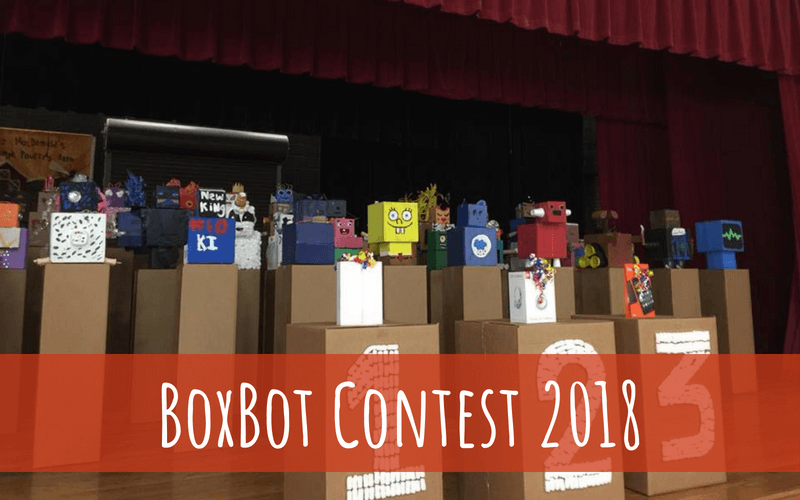 Another year, another amazing BoxBot Contest in the books! On July 12, Ameritex was pleased to partner once again with Alief ISD for the 2018 BoxBot contest — where Alief middle schools’ awesome After School Program students come together for a friendly competition. Each competitor crafted a unique robot with nothing but recycled moving boxes and other basic moving and crafting supplies. Participation skyrocketed to 53 entries this year — up from 30 in 2017! Inspiration came in the form of Spongebob Squarepants, Grumpy Bear from Care Bears, and the Boston Celtics. In fact, this year’s entries were so creative that we’re delighted to add a category for creativity in 2019. Interest from the teachers spurred us to add yet another category for teacher entries next year. We can’t wait! Student academic programs are essential for our community, and BoxBot provides these children the opportunity to hone their problem-solving and leadership skills. We couldn’t be prouder to play a part in this fun summer program. Click here to view our latest press releases.